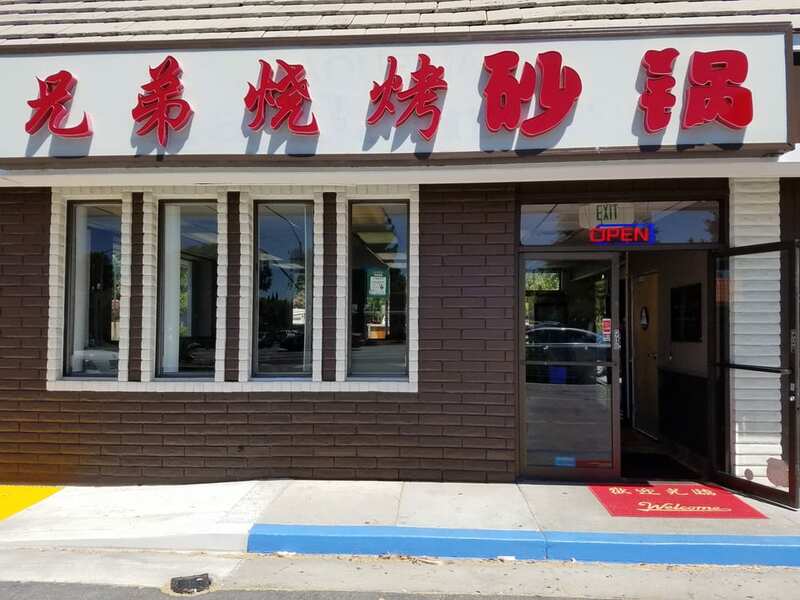 Chances are if you have come across the countless Smallville USAs that dot the country, you’ve come across one of those ambiguously Asian restaurants where a combination of Chinese + Korean + Japanese + [insert Asian cuisine here] are thrown haphazardly together. Many of them also contain the requisite Mongolian BBQ option to entice Asian cuisine rookies. Even in US metros with large Asian populations(looking at your SF, LA and NYC) you are bound to find yourself at a Mongolian BBQ restaurant. It is fast becoming an American staple. 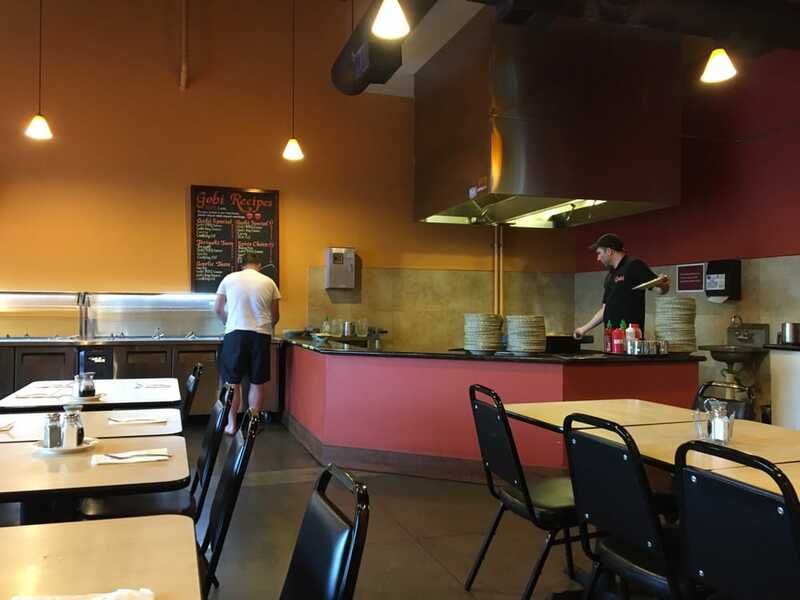 The non-mall versions of these Mongolian BBQ restaurants are usually all-you-can-eat. Revelers can scoop as much meats and veggies as they want and the concoction is further augmented with a heaping array of noodles. A cook will throw your selected wares onto a flat iron skillet, cook that bad boy up and in minutes, you are slurping down rice noodles while watching Youtube videos on your iPhone. Contrary to popular belief, the US version of Mongolian BBQ is not from Mongolia. Nor is it from China. Nope. In fact, the earliest recorded history of this version of “BBQ” is actually 1951 in Taipei, Taiwan. It wasn’t till it really started taking off with Taiwanese locals that the concept eventually made its way out west. Hell, in Mongolia, they’ve never seen supposed “barbecue” made like this. You are more likely to see this version of BBQ in a Taiwanese night market than you are than in the Mongolian capital of Ulaan Batur. Truth be told, the stuff we get here in the US is more like stir fry rather than actual barbecue. Not all that surprising given the origins of this style and plus, the majority of Mongolian BBQs in the Bay Area are all Chinese owned. We like MP Mongolian BBQ, in fact, we REALLY REALLY like MP Mongolian BBQ. Not only is the food delicious, but this has to be the cleanest Mongolian BBQ in all of the Bay Area. MP Mongolian BBQ is an off shoot of Su’s Mongolian BBQ in Santa Clara and just like Su’s, things get uber busy during the lunch hour. So make sure you head out here a smidge before 12 so you’ll get first crack at the buffet bar. For dinner(and weekends) lamb is served alongside Mongolian BBQ staples beef, chicken and pork. Veggies span the typical “Chinese” vegetables that you find in the canned veggie isle at 99 Ranch ranging from watercress, mushrooms and canned corn. All in all, its pretty good. Everything is hot, well controlled and pretty tasty. You really can’t ask for more. Su’s should get an award recognizing it as some sort of Bay Area landmark. These guys have been around forever! Most Mongolian BBQ conversation start and end with Su’s as their price point, acceptable food quality(as far as buffets go) and accessibility are simply… legendary. This is one of those no frills places that we love. Cheap chairs, crappy looking parking lots and questionable sanitation standards just add to the charm that we come to expect. Must go once for the experience. Right down the street from Su’s Mongolian and located in a strip mall that, if you aren’t looking for it, you’ll miss it. 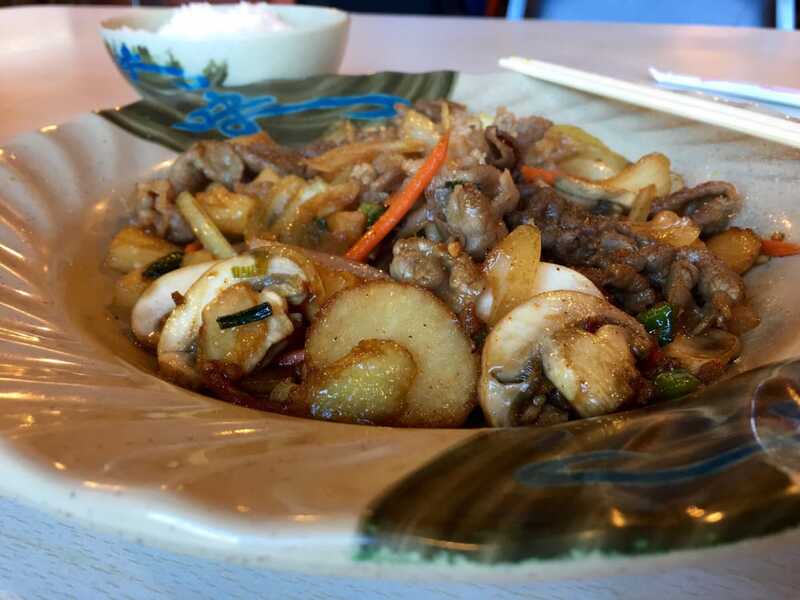 El Camino Mongolian BBQ is a long established Mongolian eatery of the highest degree. 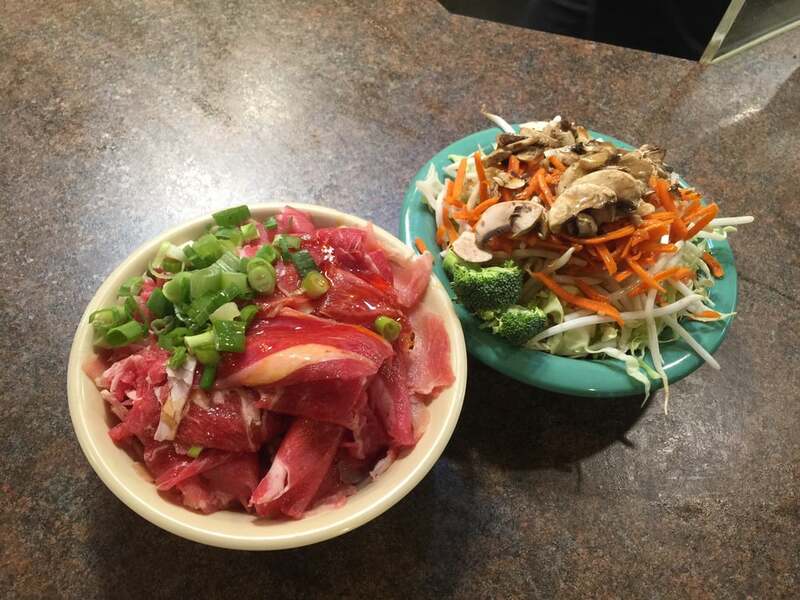 A family establishment that has been around since the 80’s and with tons of pictures plastered around the walls, El Camino Mongolian BBQ gives you plenty of protein options to keep that belly round. The Yelp reviews says it the best. The beauty of this place is the creativity the restaurant allows you in making your own saucy concoctions. For some inexplicable reasons, El Camino Mongolian BBQ has the best sauces. But you know, don’t take my word for it. Try it out yourself. If there is one thing Gobi is known for, it is selection, selection, selection. With two Bay Area locations and one more in Los Angeles, Gobi has got you covered with their wide variety of items you can slab into your bowl. By far, these guys have the most stuff for you to stuff right back into your face. At this point, the recurring theme is that non of these Mongolian places really invest in ambience or decor but rather, their only focus is on food. Which, by all accounts, is fine by us! In the crowded corridor of Castro Street in Mountain View, standing out amongst the sea of restaurants is uber hard to do. Luckily, unlike the smattering of Thai and Chinese restaurants, New Mongolian BBQ is the only mongolian restaurant on the entire strip. The best part about New Mongolian is the fact that it is one of the few places to offer eggs in their buffet. While that isn’t the only reason to come here, the $11 price tag and the all you can eat soft serve is reason enough to check this spot out for lunch. UB Mongolian Grill is a Mongolian BBQ restaurant within a restaurant. Unlike the others on this list, UB Mongolian operates as a sit down restaurant where one can order Chinese dishes off the menu. But, it also offers an all-you-can-eat option for people who are down to jingle with the Mongolian stuff. Best turn’t up here if you are looking for some variety. If you enjoyed this article, you should really like us on Facebook!